Editor's Note: We're yet to get local pricing and a release date for this bad boy. Meanwhile, the Withings Move does the exact opposite. 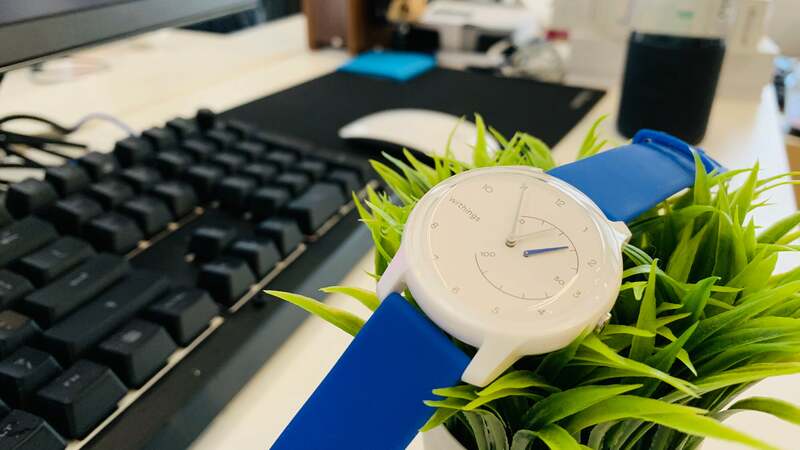 It’s incredibly pared down—no notifications, no continuous heart rate monitoring, and just the bare necessities when it comes to tracking metrics. Its main selling points are its colourful, Swatch-esque design, 18-month battery life, and its $US70 ($98) price. I’d lump it in with the many other analogue-hybrid smartwatches out there, except without any notifications, it’s more of a fitness tracker parading around like a normal watch. As far as design goes, the Move heavily resembles all the Withings watches came before it. It has the same elegant circle case with analogue hands, along with a sub dial that tracks what percentage of your daily step goal you’ve completed. That’s it—no more, no less. 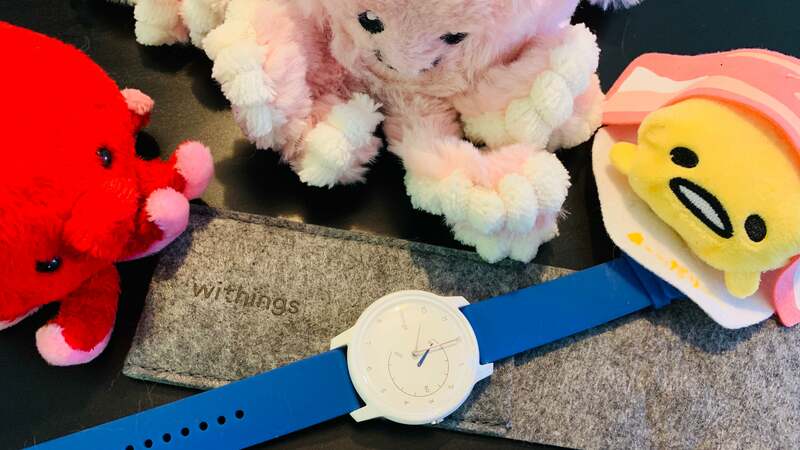 Comparatively, the Withings Steel HR Sport has an additional monochrome LED screen that displays your steps, heart rate, distance travelled, and calories burned. Whereas the Steel HR Sport goes for a sleeker black-and-white aesthetic, the Move is all about colour. Most of the colorways feature a bright pop of either blue, coral, or mint green—though there is a more understated black-and-yellow option. While I appreciated the Move’s playful look while taking photos, up close it’s hard to shake the feeling that you’re wearing a kid’s watch. The case and display are clearly made of plastic, and not the kind that can masquerade as a more expensive material. 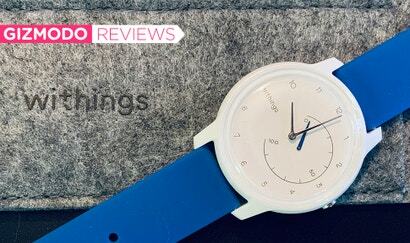 Combined with the silicone straps, what you end up with is a very cheap-feeling watch. The only redeeming factor of Withings cutting so many corners to lower cost is battery life. It’s powered by a coin-cell battery, which means it’ll last around 18 months with zero charging. 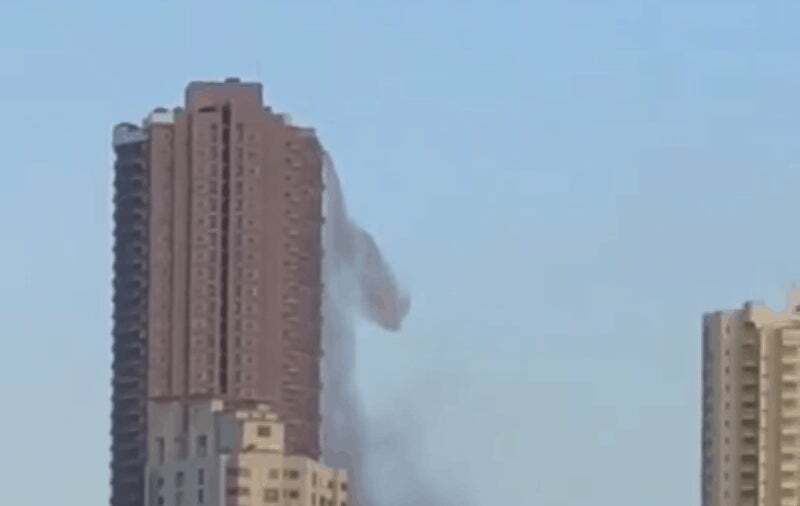 You know, all that would be fine if the Move delivered on something unique. Sadly, it doesn’t. Because you get zero readable notifications on this thing, so you’re still tethered to your phone for everything. The only thing you can glean from a glance is your step count percentage and the time. That can be a good thing if you’ve got notification fatigue, but for most people, it defeats the purpose of a smartwatch. This is doubly true when you consider that most smartphones these days are perfectly capable of tracking steps, distance travelled, and sleep. To test accuracy, I took the Move with me on a 5km outdoor run. 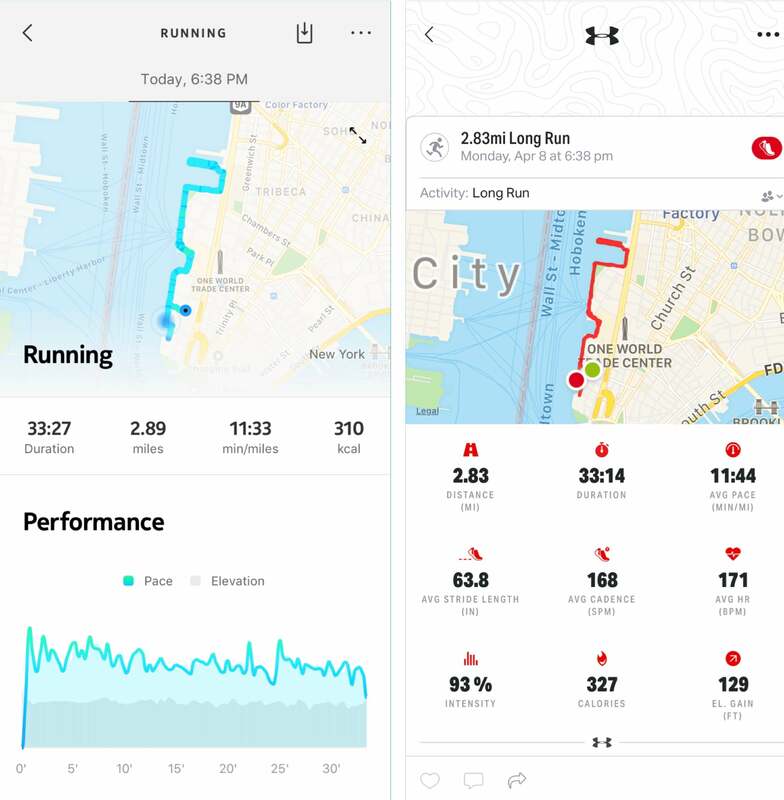 For distance, I separately recorded the run using the Map My Run app, as well as on an Apple Watch Series 4. For distance, the Move slightly overestimated my run at 5km, while the Apple Watch delivered a more accurate distance of 5km. The Move also logged 5,481 steps on this run, whereas my Yamax SW-200 Digi-Walker control pedometer recorded 5,717 steps for a difference of 4.1 per cent. With regards to all-day step count, the Move counted 11,300 steps to the Apple Watch’s 13,444 steps. That’s a sizable difference of 2,144 steps, which for me translates to about a mile of walking. Overall, this is about what you’d expect from a casual, aesthetics-first fitness tracker-smartwatch hybrid. It’s not precise, but it more or less is decent at delivering a ballpark estimate of your daily activity. That extends to the Move’s sleep tracking as well. While it did a good job of recognising when I fell asleep and woke up, it only did a so-so job measuring my sleep stages. My cat will not stop yowling bloody murder at 3 a.m. every morning until I crawl out of bed and feed him—yet the Move marked my nights as extremely restful with zero interruptions. 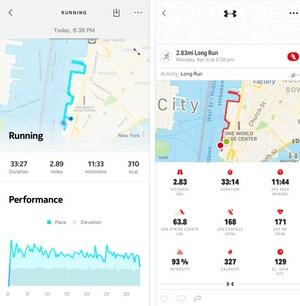 I have a hard time imagining the Venn diagram intersection of “People who only want basic metrics” and “People who categorically refuse to wear fitness bands” is extremely large. Likewise, I’m not sold on the idea that people who value style over functionality are going to be hugely impressed with the Move’s design. There are better options like the much more attractive Misfit Path, which for about $US80 ($112) extra delivers all the same features as the Move, plus notifications. 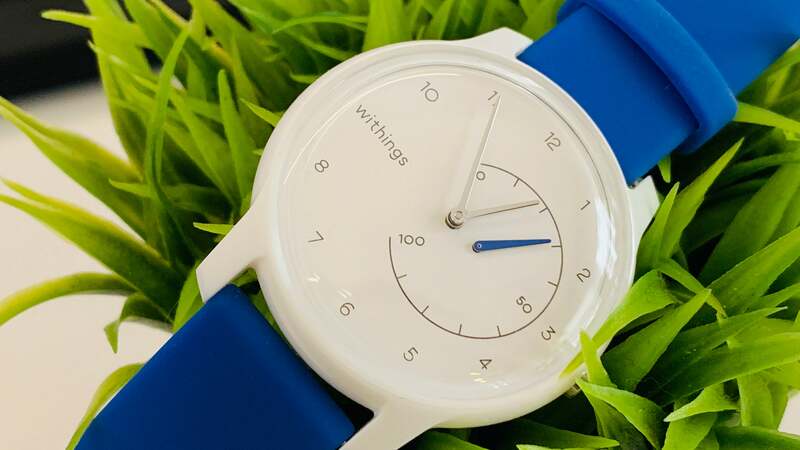 The more enticing option is the Withings Move ECG, which was introduced earlier this year at CES. 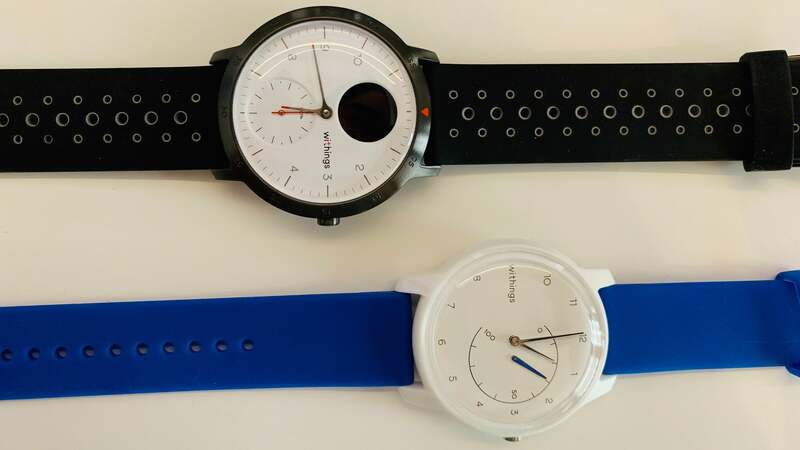 The only problem is that Withings is waiting on FDA clearance for the device, so it’s unclear at the moment when it’ll be available. Still, with 12 hours of battery life, ECG capability, and a $US130 ($182) price tag, that would’ve at least been a compelling low-cost alternative to the Apple Watch. Without ECG, the Move feels rudderless—a product without an audience, or really a reason for existing. At best, it’s another sign that companies are starting to think about innovating entry-level smartwatches. With Apple, Fitbit, and Samsung dominating high-end, luxury offerings, there’s definitely space for other smartwatch makers to figure out a sub-$US150 ($200) watch with streamlined features and elegant design. The Fitbit Versa Lite Edition comes closest at $US160 ($250 in Australia), but like the Move, its colour options are a bit too gaudy and oversaturated. Meanwhile, the Withings Move is an admirable attempt at a $US70 ($98) smartwatch, but it simply misses the mark. Colourful design is refreshing, but it looks chintzy and childish up close due to its cheap materials. Great price at $US70 ($98), but you give up heart rate monitoring, and its tracked metrics (steps, distance, sleep, calories) are more general than precise.